Description: One Fat Frog Restaurant Equipment and Food Trucks is an American firm of new and used commercial kitchen appliances and equipment in addition to custom fabrication of food trucks and food trailers, located in its 100,000 square-feet facility in Orlando, Florida. For the past ten years, One Fat Frog became a harbinger in restaurant equipment services, catering from local businesses to multinational corporations across the board. After continued success in the restaurant and the hospitality industry, One Fat Frog has rapidly expanded its food truck and food trailer division in 2015. 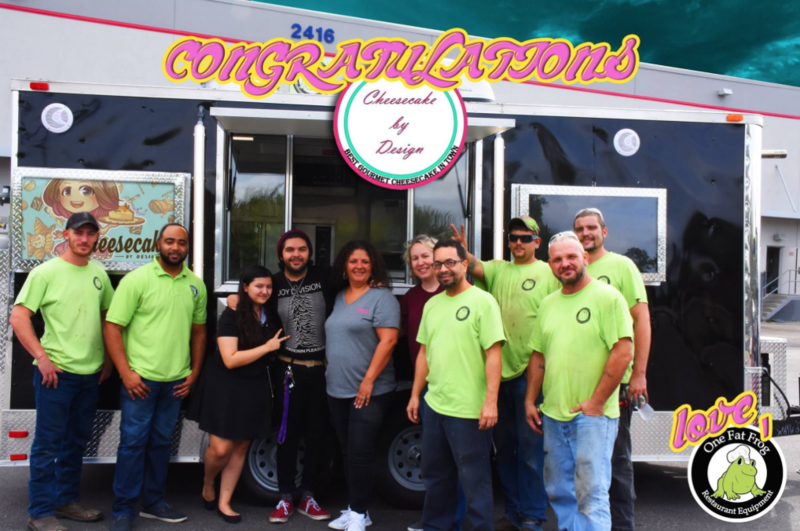 Following the expansion, One Fat Frog consistently builds partial or complete food trailer and food truck packages that are custom-tailer to each individual business owners needs. In addition to the trailer and truck build packages, One Fat Frog offers a wide range of services available including in-house equipment financing and 100,000 square feet of new and used equipment to choose from. Contact us to share your experience with this builder.